Welcome to my blog! I have been trying to come up with a subject for my first post for the past few weeks. After long deliberation with myself I have decided to write my first article on the history of cosmetics throughout the ages, where cosmetics originated from and how the beauty industry has become what it is today. It made sense to me to write about something I am passionate about with being a make-up artist myself. 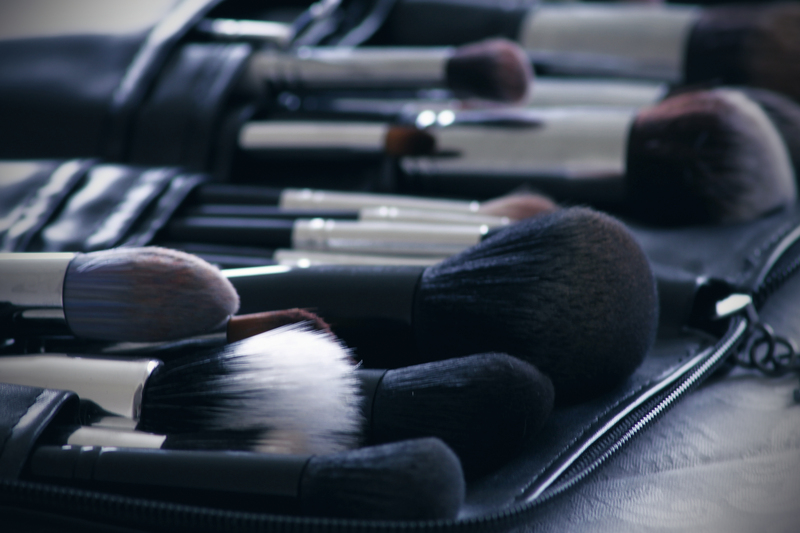 I hope you find this first article on “The Brief History of Make-up” educational and interesting! Cosmetics have been used by women and men for thousands of years in almost every civilisation across the globe. Make-up trends are changing constantly, as we know over the last year we have seen around five or six make-up trends come and go, so I find it fascinating to see what women and men have been wearing for centuries and the evolution of cosmetics. Over the ages the use of cosmetics has changed dramatically. The earliest evidence of cosmetic use is around 10,000BCE in Egypt. The men and women used scented oils to soften the skin and for protection against the burning Egyptian sun. Lavender, chamomile, almond oil, sesame oil, rosemary, myrrh and thyme are just some of the ingredients used to create their perfumes. Fast forward a few thousand years to 4000BCE during the Protodynastic Period of Egypt the Egyptian women began to apply “kohl” to their eyes to create the desired almond shape and to darken their lashes. “Kohl” make-up was made from different coloured copper ores, lead, ash, burnt almonds and ochre. Kohl was originally used as protection against eye ailments and they also believed that darkening around the eyes would protect one from the harsh rays of the Egyptian sun, to which they were correct. Kohl (also known as ‘Kajal’ in the Middle east and Asia) is still used today, although the ingredients and formula are far more modern and safer to use! Around 3000BCE in Asia, the Chinese people began to stain their fingernails with gum, beeswax, egg and gelatine. A kind of “ancient nail polish”, the colours used represented social class and was used widely by both men and women. The Royals of the Zhou Dynasty in China wore nails adorned with striking gold and silver. Subsequent royals wore black or red to show their importance and rank. The lower classes of the Zhou Dynasty were not permitted to wear bright coloured nails. At around the same time as the Zhou Dynasty in China, over in ancient Greece the Grecian women had a particularly dangerous beauty regime. In ancient Greece pale skin was a sign of wealth, prestige and beauty. It meant that they were too rich to work long hours outside in the hot greek sun which would result in tanned, sun kissed skin. Their skin was the proof of their wealth and therefore played a huge part in the everyday Grecian women’s beauty routine. They would paint their faces with white lead if they were born with darker complexions. Today we know that lead is a highly toxic substance and with the prolonged use of “lead foundation” it would have shortened their lives dramatically and potentially also made them very ill. If lead was not available they would use chalk, which is luckily for the Greek women, not a toxic substance! The Greek women would also make their own moisturisers out of honey and olive oil. For blush, they would make red coloured pastes out of crushed mulberries. For lipstick they would use ingredients like red iron oxide and ochre clays. For eye shadow they would mix ground charcoal with olive oil or beeswax to create what is by today’s standards an ancient “MAC paint pot” eye shadow. They would also use this ancient paint pot to fill in their eyebrows to the extreme creating a unibrow, which was considered very attractive in ancient Greece. At around 1500BCE Chinese and Japanese people also preferred a pale complexion, which is still seen as a preferred look in Asian countries like China, Japan and South Korea to this day! To lighten their skin they would use rice powder. During this period having shaved eye brows were in fashion and kind of like the Zhou Dynasty a couple thousand years before, gold or black painted teeth (not nails this time) were a sign of social class. Fast forwarding to Italy in 100AD, in Rome, roman women and men would put barley flour and butter on their spots and acne to act as what we see today as a concealer. For nail polish they would use sheep fat and blood! At this time in Roman history, public bath houses were a major part of roman society, they would also use steam rooms to open up the pores and use a scraper to remove excess oils and impurities from the skin. In roman times it was also fashionable for the men to dye their hair blonde using vinegar. Another type of famous hair dye dating from 300-400AD is Henna. Henna is used in India as a hair dye and in mehndi, an art form where beautiful designs are drawn onto the hands and feet of women. In Britain there was one woman who was massively influential with hair colour, Queen Elizabeth I. She was born on September 7th 1533 in Greenwich, England and was crowned Queen on the 15th of January 1559. The last of the Tudor Dynasty, she was a beloved monarch by the people of Britain and women looked to her as the very pinnacle of fashion and beauty. She famously had fiery red hair and as a result red hair came into fashion. She had a very pale complexion and like the Greek women ages before her, she painted on white lead foundation to up keep her ghostly appearance. The women of the courts however used egg whites all over their faces to appear paler like the Virgin Queen Elizabeth. In the Renaissance period is where, I think, the cosmetics industry really took off in Europe, especially the 17th century. Make-up in the 17th century is generally applied more heavily and only the aristocracy really use make-up at this time. Italy and France were emerging as the major centres of cosmetic manufacturing. 17th century women in the aristocracy were larger than life characters, when it came to cosmetics and fashion; it certainly was the more the better! They would wear amazingly huge wigs adorned with feathers of exotic birds to display their wealth. For make-up the paler complexion was still the ideal look, they would use white powders like zinc oxide to lighten their faces. For blusher they would use powdered pigments and use it in great quantity. Renaissance women loved their blusher! They would apply very bright pinks and reds heavily to their cheeks. However this relaxed attitude toward make-up and cosmetics was about to change dramatically, as the Victorian Era burst into full force and with Queen Victoria on the thrown, she publicly denounced the use of make-up and it was then seen as improper and vulgar for women to wear it. Women seen wearing make-up were compared with women of a lower class or even prostitutes! Victorian women came up with ways to appear young and beautiful in a “natural” way by applying white powders or lemon juice tonics to the face to even out the skin tone and to lighten the complexion. Since blusher or ‘rouge’ was frowned upon by Victorian society, women would pinch their cheeks to flush blood into the skin to give a natural colour to the skin. For lipstick they would use crushed berries as a subtle lip stain. As the Victorian Era came to pass and women moved into the Edwardian times of the early 1900’s the pressure increases on women to appear young. Make-up was very slowly becoming more accepted, but was still seen widely as scandalous. Women would sneak in through the back doors of beauty parlours to buy tins of rouge and lipstick as they didn’t want to be seen buying it. The perfect ideal look for women of the Edwardian era was that of the ‘Gibson Girl’. In the 1920’s make-up really made a comeback. Rimmel produced the first non-toxic mascara and eyebrow pencils became very popular. Women loved the look of thinly drawn on eyebrows and heavy black eye make-up smudged out. The original smoky eye! Throughout the 1920’s and into the 1930’s make-up became readily available at most pharmacy stores and the rest is history! After World War II cosmetics manufacturing became a massive international business that generated huge profits. Since the 1950’s the beauty industry has grown into the make-up crazy world we live in today! Make-up has come a long way since the Edwardian times and I hope it continues to grow and flourish! It was only 1921 when the first tubed lipstick bullet was created and today in 2016 we have colour changing lipstick and metallic liquid lipsticks!